Quail is a collective name for several genera of small, plump birds in the pheasant family. Species or subspecies of the genus Coturnix are native to all continents except the Americas. 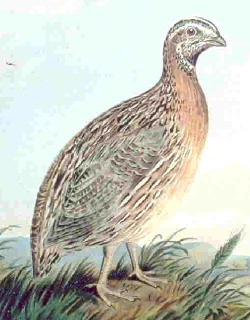 The Pharaoh, or Coturnix coturnix, quail are of Eurasian stock (found in Asia, Africa and Europe), and are migratory upland birds that travel in large bevies of up to a hundred. The small birds are physically unable to fly long distances. Instead, they shoot forth in a straight line at low altitudes, leaping from one stopping point to the next, crossing arid wasteland, rivers, or swamps. Often they exhaust themselves in the process, dropping to the ground virtually unable to move. From a hunter’s perspective, their straight flight and easy fatigue make them simple prey. This behavior gives rise to the belief that it was hordes of the common quail (Coturnix coturnix Japonica), called selav, or “plump one,” in Hebrew, that saved the Israelites wandering in the wilderness after leaving Egypt. Was this the God-sent miracle or manna mentioned in Exodus and Numbers? The birds certainly could have been traveling in their annual migration. As late as the turn of the last century, Egyptian bird catchers still exported more than 2 million quail a year to European chefs. European, Japanese, and rain quail of southern Asia belong to the same family, Phasianidae, of the order of Galliformes. They are classified as Coturnix. 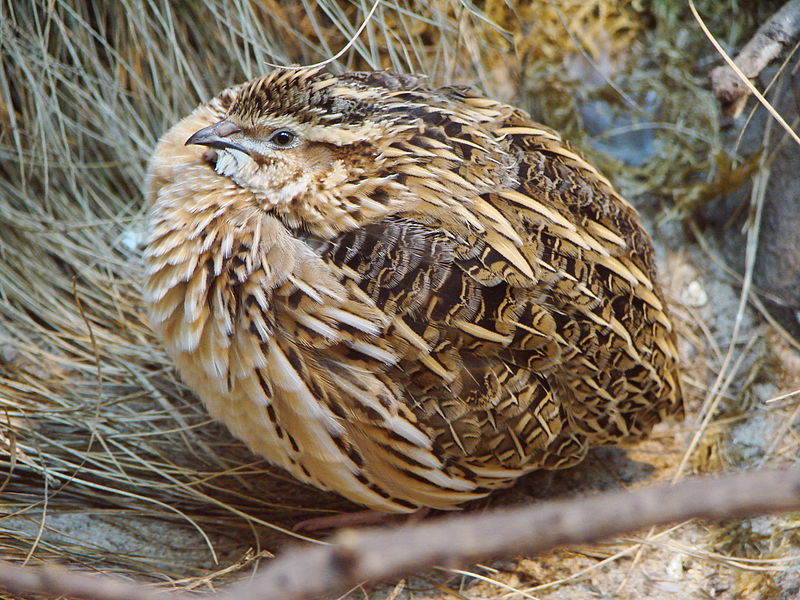 Wild quail are not the same breed, although they are Galliformes. When early settlers arrived in what is now the northeastern United States, they encountered birds about the same size and coloring as the quail they had known in the Old World, and misnamed them. To complicate matters, the bobwhite quail (so called for the male’s loud whistle) was known as a partridge in the South. Among quail found in America are the bobwhite, Gambel’s quail, mountain quail, and Montezuma quail. Though technically a game bird, quail that is available in stores will always be from a quail farm. If you want wild quail, you’ll have to hunt it yourself. Over the last 25 years, farmed quail has become more widely available in the United States. It was not always so. When Ariane Daguin founded D’Artagnan in 1985 quail were harder to find, and usually ended up at white-tablecloth restaurants. 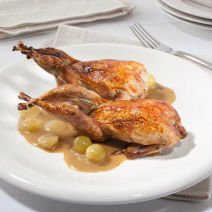 But thankfully, today quail is being prepared in many home kitchens. Few game birds are as versatile, simple to cook, and easy to enjoy as quail. These plump, juicy birds should be the basis for “Game 101,” because they make everyone – from novices to professionals – look like a champion. Grilled, broiled, or sautéed, they’re almost impossible to ruin. The medium-dark flesh has a mildly gamey flavor that readily takes to being marinated, stuffed, or highly seasoned. 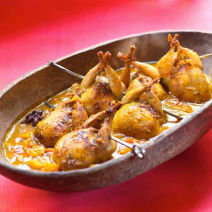 They are small, so allow one quail per person for an hors d’oeuvre, and at least 2per person for an entrée. Because they are lean, they need to be cooked quickly over high heat and served medium rare to retain their moisture and flavor. Previous Post Vive la France!! Celebrate Bastille Day with us!